I’m not normally given to dressing up in Christmas jumpers or sporting a pair of bouncy reindeer antlers, although I’m always amused to see them on other people. But never let it be said that this cat doesn’t know when it’s time to let his hair down! 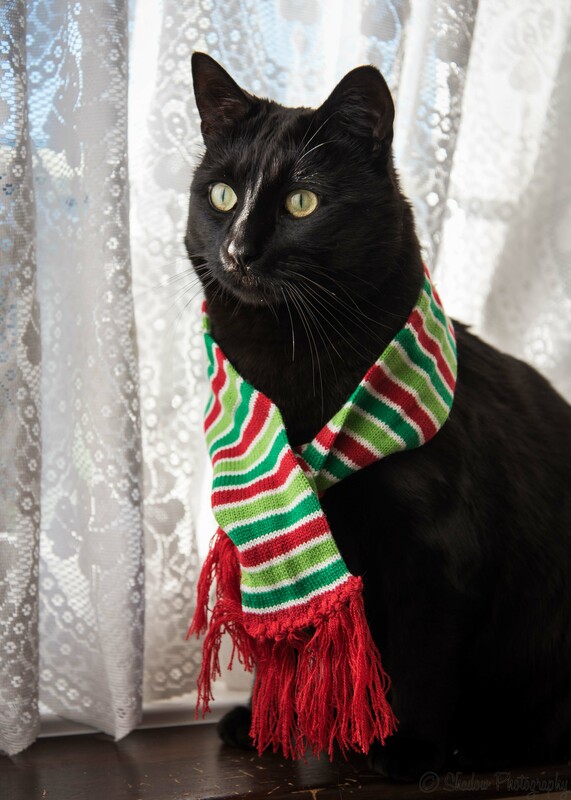 So as a special Christmas treat for John I thought I’d wear the silly scarf he bought me this year. Yes that’s me getting into the party spirit! I hope you agree that I pull it off with a certain amount of dignity! The other shots were taken while I was having a nap on one of my favourite blankets. I woke up to the flash and gave John a couple of nice poses before going off in a huff to find a quieter spot. Not that I’m an old humbug or anything! 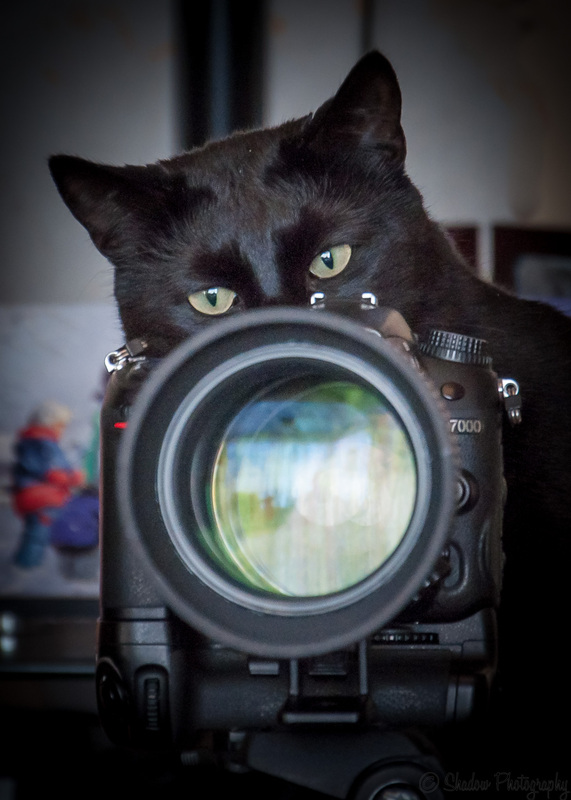 I hope you like the picture of me preparing the camera for our next photo shoot looking professional and debonair! The New Year is coming and perhaps like me you’ve made a few resolutions that you haven’t quite stuck to in the past. But I’m an eternal optimist and the New Year symbolises a time of re-birth and starting fresh. So whatever it is you want to achieve in 2015, you go for it! I hope you enjoy a relaxing few days, whether you’re with friends or family or on your own. 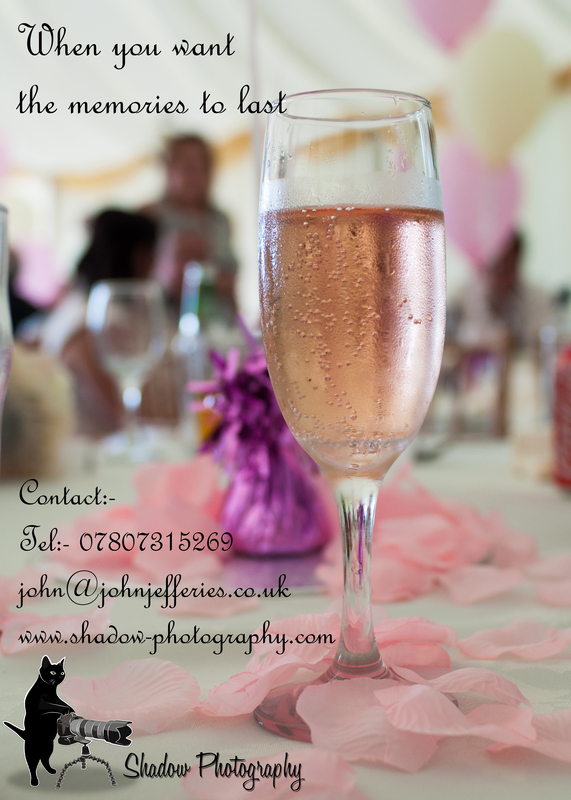 Happy Christmas and a prosperous New Year from John and I at Shadow Photography. May you find something to smile about every day. This entry was posted in About Me, My Friends and tagged "New Year", a special Christmas treat, Christmas, Christmas jumpers, reindeer antlers, Scarf, www.shadow-photography.com, Xmas. Bookmark the permalink.